More than 200 guests gathered this past Monday at the Mill 19 site in Hazelwood for Carnegie Mellon’s debut of their future space inside. 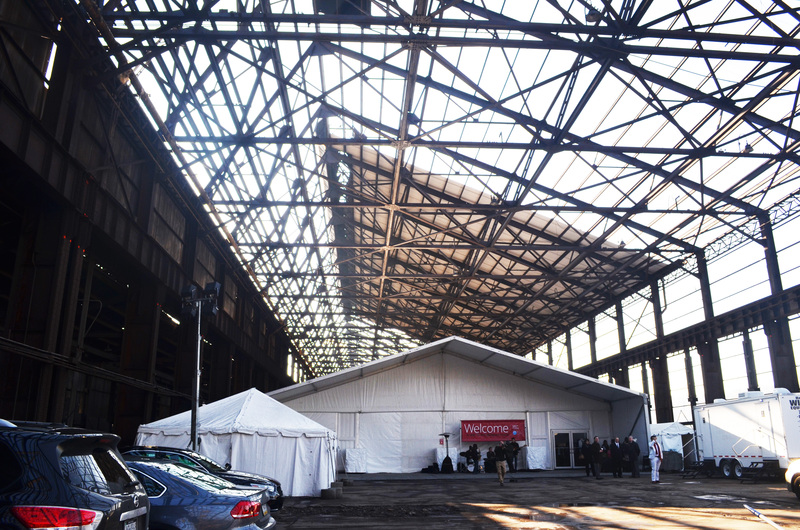 CMU recently signed a lease for two floors of the development that will be home to Advanced Robotics Manufacturing (ARM) and Manufacturing Futures Initiative (MFI). 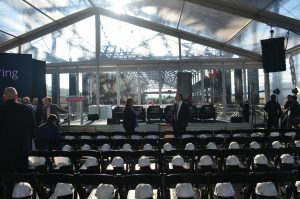 Guests parked onsite and took a Molly’s Trolley to the Mill 19 building where they were greeted by an outdoor band playing in front of an enclosed tent. 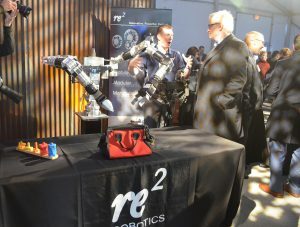 There were featured demonstrations from RE2 Robotics, IAM Robotics as well as 3D bioprinting that people were able to watch while enjoying a reception catered by local Hazelwood businesses. 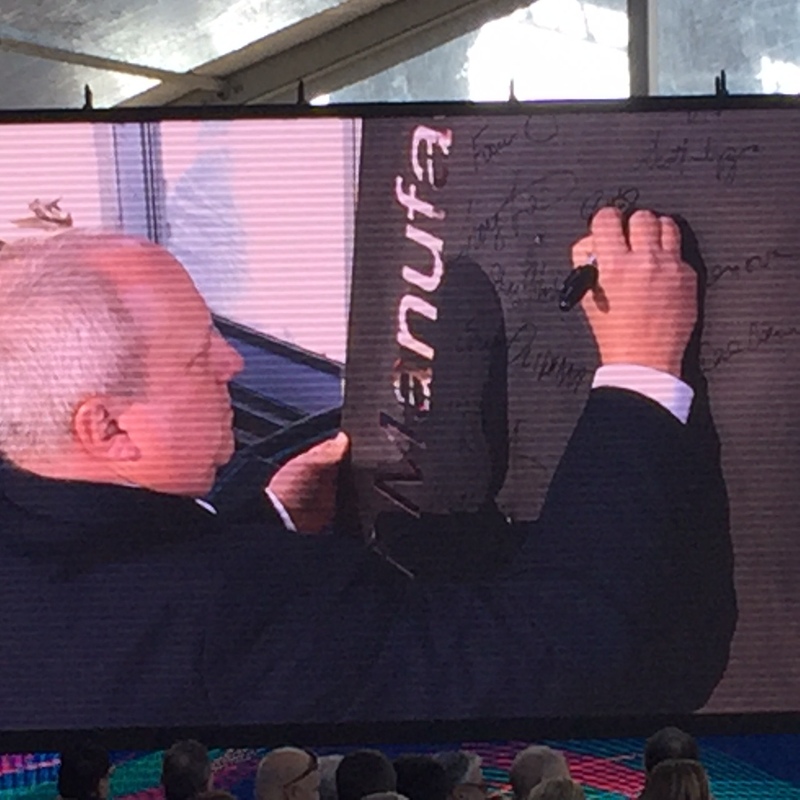 The ceremony included remarks from CMU’s interim President Farnham Jahanian, PA Congressman Mike Doyle and Department of Defense, Director of Manufacturing Institutes, Tracy Frost, among others. A panel of five speakers including RIDC President, Donald Smith, were then asked for their expert opinions about the significance of the site to Pittsburgh and Hazelwood redevelopment, as well as the role CMU plays now that they are the anchor tenant of the Hazelwood -Green site. 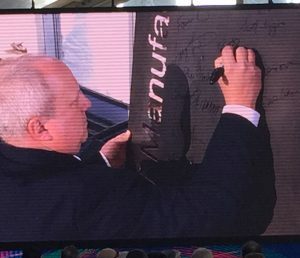 To close the ceremony, everyone involved in the process signed a monument that will be located in the new space once completed. 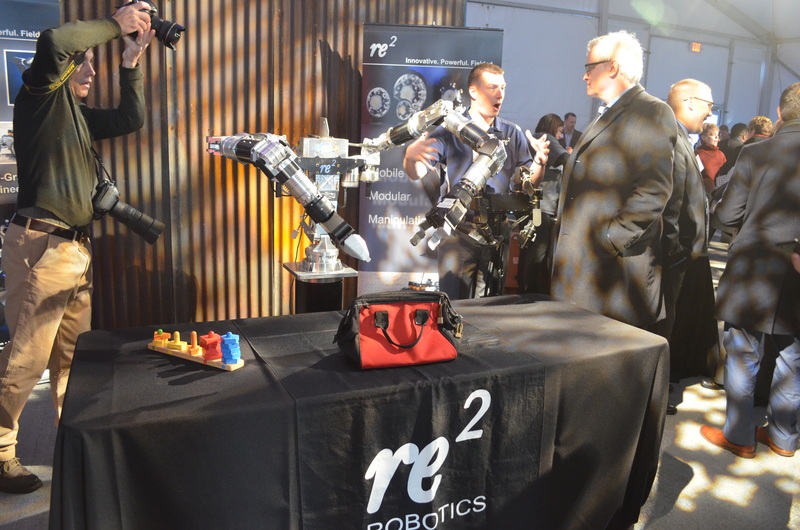 Click here to read more about the event on Carnegie Mellon’s website.